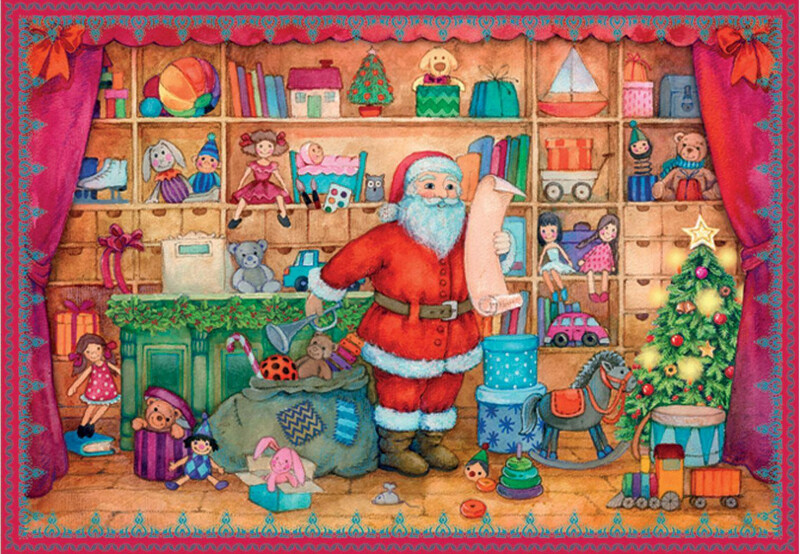 You can use this Advent calendar to countdown the days to Christmas in your own home. Or you could pop it in the envelope and post it to a friend to spread the good cheer. 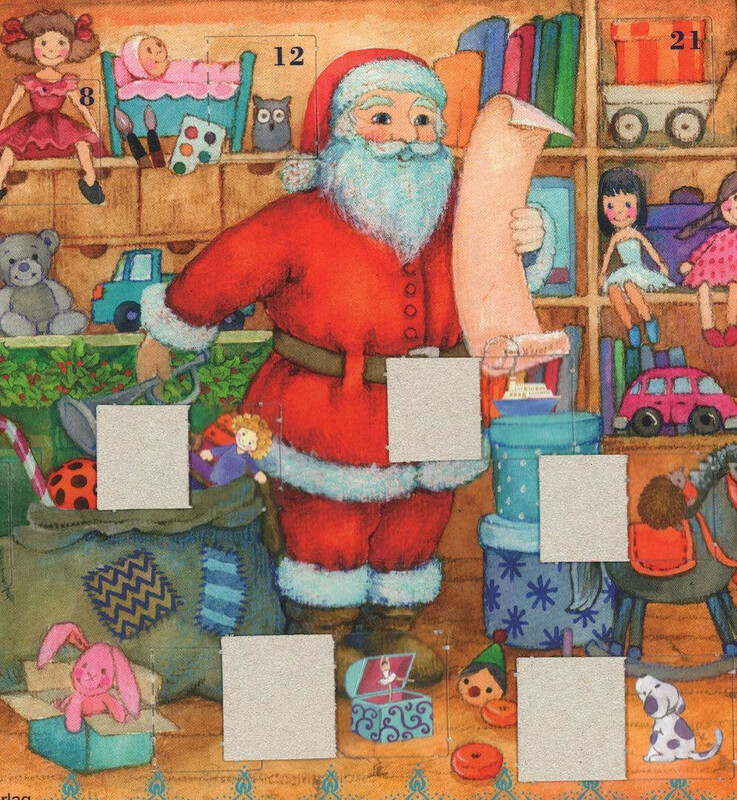 It's a lovely twist on the more traditional type Christmas Advent calendars. The calendar depicts Father Christmas delivering gifts in a child's bedroom. All you need to provide is the stamp!